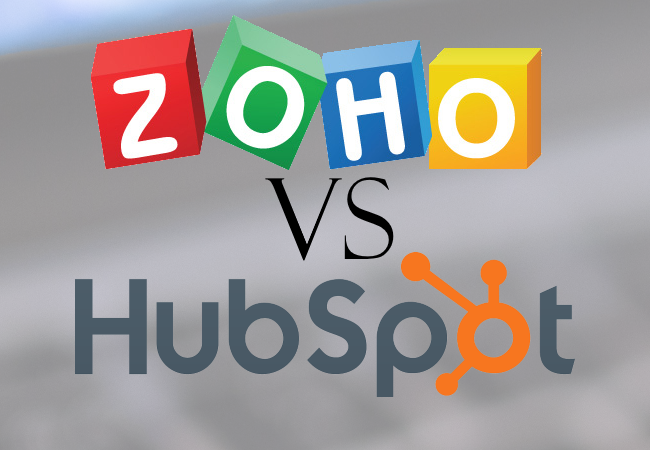 Zoho vs Hubspot - Which Is the Better Small Business CRM System? A good CRM system is crucial for any small business that wants its digital marketing campaigns to succeed. With limited staff, limited time and limited resources, a CRM system is the best way a small business can optimise its workflow and pool together all its data in an easy to understand and utilise format. With everything in one place, it only takes a few people to run a great sales campaign. But what specifically does a CRM system do? CRM stands for customer relations manager and it really does exactly as its name suggests. It manages a business’s customer relations, whether that be a lead, customer or anyone else interested in the business. The system will allow you to compile data on customers and leads and offer the opportunity to automate interactions and analyse relations. The ability to automate this much work is what makes CRM systems so exceedingly important. It saves incredible amounts of time and effort that can be put to good used securing leads or interacting with customers. Why Does A Small Business Need A CRM System? As a small business, you likely don't have a large sales team and won't be able to run multiple campaigns, log customer interactions, gather lead data and still having time to nurture leads. A CRM system allows a small team to compete with larger businesses by taking some of the work off their hands. They don't have to spend time manually logging customer data or noting when their last call or Email was as the CRM system will do all that for them. Of the many available CRM systems, two are especially good for small businesses, these being Zoho and Hubspot. Both offer a very user-friendly experience that lends themselves to keeping everything easy to navigate and clear to understand. They both allow you to see in real-time what your leads are doing and when they interact with your content, whether this is open your Email, contact you on social media or visit your website. Both systems will automatically log the details of a new lead and compile all their data into an easy to understand format. A handy 'click-to-call' feature is available with either software as well as other connectivity features that make contacting leads simple and hassle free. What Does Zoho's CRM System Include? Zoho has the right to boast being the cheaper of the two. It was designed with the goal of being aimed at small and medium businesses, which shows through its fun and clear interface. Zoho allows you to run multiple CRM processors under one account, saving you the hassle of making extra accounts. A unique feature that Zoho offers is the integration of a fun little game for the sales team. Achieving sales and goals will reward staff members with points and place them on a leader board. This is a great way to introduce some competitiveness into your workforce and make them eager to achieve better results. Despite its promising features and great user friendliness, Zoho struggles to match other systems due to a few unfortunate issues. It doesn't have nearly enough integration with other systems and as a result, fails to keep things as easy as they could be. You will find yourself having to manually input data than you receive from anything other than the system itself. Hubspot, on the other hand, allows you to pool all your data into one location, whether it's collected through Hubspot or otherwise. Another problematic issue with Zoho is that while the features it has are very good, it doesn't have nearly as many resources as other systems. It fails to provide a quality range of templates and the ones it does have are not suitable for many businesses and can be hard to edit. What Does Hubspot's CRM System Include? Hubspot is very easy to learn and likes to focus on long-term progression. It will allow you to create up to 1,000,000 contacts, without any expiration dates. With Hubspot, you can focus on making more sales thanks to the abundance of features that will input data for you and take care of the jobs that a sales team hate to do. Hubspot will let you set your own quotas and then let you check your progress against. You can filter through your contacts by name, business owner, amount, or stage within the sales funnel. You can not only click-to-call but select whether you want the call to be recorded and stored. Hubspot is the system we have chosen here at the JDR Group and we believe it to be the better of the two. It is the more expensive system but the added features and templates it offers, and automation that is achieved through its integration, make it work the extra investment. Which CRM System Is Better for A Small Business? Both systems can serve a small business well. Zoho is cheap and has fun ways to encourage staff to go the extra mile while Hubspot boasts excellent automation of data and is very easy to learn. Hubspot will make life a lot easier for a small team and let them focus on the important tasks like getting leads and securing sales. While Zoho is great for achieving plenty of new temporary contacts, Hubspot will help you achieve a long-term plan that will grow your business steadily. If you want help with your customer relations system, or with any aspect of your digital marketing, contact the JDR Group today!